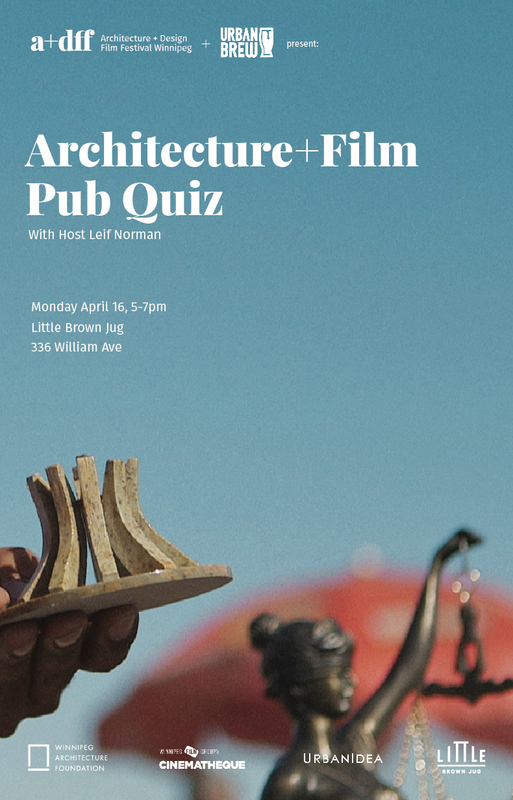 Join the Architecture+Design Film Festival (adff.ca) and Urban Brew at the Little Brown Jug, 336 William Street on Monday April 16th, from 5 to 7. Quizmaster Leif Norman will pose questions about architecture, film and urbanism. Trailers for the film festival films will be shown. Free admission and cash bar. Little Brown Jug is generously supporting the Architecture+Design Film Festival as the official beer sponsor.